A small introduction for these posts you can find here. Lunch at www.devdays.nl was well taken care of. Salmon sandwiches and plenty of them. As a preface Keith showed us is jojo skills, pretty impressive. According to Keith in security you need to find a balance. You need to start by thread modelling. You can find info from P&P http://www.msdn.com/securityguidance. do security in depth, assume all input is evil. Do security validation on the server. don’t use regex without ^ and $, otherwise people still can insert stuff . use sql parameters , don’t concatenate input in your query. don’t show complete error messages, put the in the log and give the user the possibility to correlate there error with the log. If you use validation controls you need to program them correctly. You need the check on the server side the IsValid property. Viewstate by default gets hashed and checked on tampering. Cookies don’t get this, form login cookies do. printf(a,b,c,d) has a big security issue (not console,writeline()) a is a control channel, the rest is a data channel. Don’t give up control of the control channel. Equal so Proces.Start(a,b) and sql.commandtext = a.
in a search box start with a ‘ and see if you get an error (if it is a string, for a number you don’t need it. if there is a user table, select emails and passwords and put them in an excell sheet. Keith his anti virus software wanted to let the entire audience know that it was out of date during the presentation. put in a textbox <h2>test<h2> see if the formatting is kept. when an error page is show that get’s its message from the query string, you can use this to enhance a phishing attack. To fix the problem sandbox the output. When getting the data out of the database use HttpUtility.HtmlEncode(data). On the input side filter the input. get free modules and examples form pluralsight. A small introduction for these posts you can find here. My third session was a wildcard session by Dennis Doomen on TDD and S.O.L.I.D. Even though the room wasn’t on the map and the session wasn’t on the session overview the room was packed. People who didn’t know what inheritance is, were asked to leave. TDD is a design process, tests are your first users, tests can be documentation. If TDD hurts you are doing it wrong. For S.O.L.I.D I say read the book by Uncle Bob Martin. Dennis gives an introduction. In the demo Dennis an aaa template for creating unit tests. ( Arrange, Act, Assert) For naming he follows a Should_When naming convention. During the demo, Resharper and RhinoMocks prove their usefulness. Make unit tests intention revealing. An extra tip from Dennis, it is possible to decorate your unit tests with the workitem attribute, this will couple the unit test with a workitem in TFS. The samples are posted on Dennis’s blog. It was a nice session with enough interaction. I would like to see this talk held in a room full of none believers though but then with enough time to discuss. For a nice simple introduction to S.O.L.I.D watch the dimecast screencasts. DevDays 2009 day 1 Tasks threading and parallel programming. A small introduction for these posts you can find here. The last session of the day was by Ingo Rammer about parallel programming in .Net 4.0. The slides and code of this session will be under conferences on http://www.thinktecture.com/. Multithreading vs Parallelism. Multithreading is easy, just call Thread.start(). It is primarily used to keep the ui responsive.Parallel programming is used to maximally use the cores that are available. The ray traces sample comes form the parallel extensions. Ingo shows a demo walking a large tree structure and visualizing this. The first version uses no threading and takes about 1500 ms to complete. In the second version he tries to make a thread for every node. This version blows up, every thread takes up one mb of memory. The third version uses Threadpool.QueueUeserWorkitem, timing is off now because the threads are fire and forget. The fourth version works with the new tasks from the parallel extensions. This version does the work in about 800ms. More functionality of the Task is making the creation possible using a factory (shorter, cleaner code). Also the results of a task can be simply used, all synchronization is done for you. In the demo he sums up all values in the tree without having to worry about synchronisation. After that my netbook just closed down. Basically Ingo covered three ways to do parallel programming in C# 4.0. Ingo is a great speaker and made this last session while everybody was tired still fun. For developers who don’t know, SharpDevelop is a great free IDE for developing .Net framework applications. SharpDevelop is comparable to the express editions of Visual Studio. So since they are comparable, I will compare them in this post. On februari the 10th 2009 sharpdevelop 3.0 was released, you can download it here. The version before this one was 2.2 and was released on the 8th of august of 2007, that is a long gap. I thought that SharpDevelop was dead. The 3.0 version shows that it is alive and kicking. When you spent a lot of time in Visual Studio, starting up the express editions will make you feel right at home. Everything is where you think it is. Stating SharpDevelop will make you feel a bid off. It is like someone has build a new house, redecorated it and made it look like your own house, but you know it isn’t. Still once you see there is enough beer in the fridge and have found the remote , you can have lot of fun in the new house also. 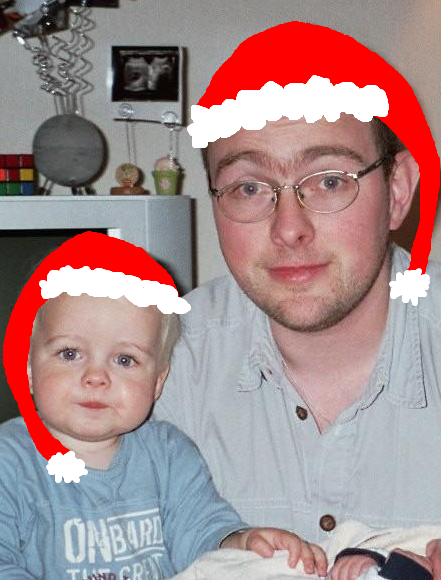 In my normal development I am totally spoiled by Resharper. These IDE’s don’t support Resharper. How easy are they to use without Resharper. Renaming a class with Resharper also renames the file that the class is in, if you want it to. Resharper also renames all references to your renamed class and even gives you a change to change them in comments AND strings. SharpDevelop does not rename the file directly but if it detects that the class and filename are different it gives you the option to rename the file from right clicking the class name. SharpDevelop does also rename all references but does not look at comments by default. The Express Editions give the option to rename also in comments OR strings, it does not rename the filename. When I use a class that is in the same solution but in another project Resharper gives me the option to reference the project and insert a using statement with a single shortcut. After making a reference in SharpDevelop and the Express Editions by hand you can add the using statement with a right and left click. In general neither wins, only Resharper wins. The express editions let you define your own external tools, so you can startup notepad or ildasm from your IDE and pass in parameters from your IDE. SharpDevelop lets you do the same but by default has already defined some of them. Extra to this SharpDevelop has a Regular Expression Toolkit a resource toolkit, support for subversion, FXCop and stylecop. I can see a lot more of these add- ins for SharpDevelop being developed. The express editions don’t have and probably never will have these possibilities because , and I quote :” We made a business decision to not allow 3rd party extensibility in Express.” From this post. SharpDevelop wins this one easily. Both IDE’s by default target .net Framework 3.5 but also support 3.0 and 2.0. In addition SharpDevelop supports compact framework 3.5 and 2.0. A big win for the express editions. The express editions don’t support solution folders, luckily SharpDevelop does. If you want to combine a console or windows forms application with a web application or web service in a single solution the express edition don’t support this, SharpDevelop does. If you think you really need to work with a database from within the IDE than also SharpDevelop is not for you. If you want to create a windows forms or console application both will work fine, if you want to build these applications more seriously and use a source control system, static code analysis and stylecop from the IDE you need SharpDevelop ! If the express editions would allow third party extensibility (Resharper) and solve my little annoyances, it would be number one. If SharpDevelop would get a resharper add-in, a graphical designer for web pages and a build in web server, it would be number one. Plug-in support Yes No explicit support for plug-ins however third party plug-ins can work with the Express edition. Twitter is fun, and there are a lot of interesting people. Most of them are pretty open for discussion and just having fun. A lot of these people have interesting stuff to say and are willing to answer questions. A few days now I watched crazeegeekchick make santahats for almost everybody she knows, I guess she is up to about fifty hats now. I asked her to also make a hat for my son, she did without asking any questions. Threw in a hat for me also and gave a nice compliment. Awesome ! crazeegeekchick thanks ! You are one of the people making Twitter fun. Hooking into the world wide web. Yesterday I taught a developer centric training class for starting in software architecture. During this class we discussed a few information sources on the web. While putting together the mail for the students in which I mention a lot of the information sources, I thought this would make a nice blog post. So here are the links. The list isn’t complete and it isn’t meant to be. I have given people my opml file with 320 feeds (No I don’t read them all completely) and it was just too much. This list is a way to get started. Good additions are welcome in the comments off course. The conference itself, the conference location and software architecture in general. At the pre-conference workshops Steven Kelly, co-author of the book Domain-Specific Modeling: Enabling Full Code Generation, showed the attendees what domain specific modeling is, what the value is, a general way of how to do domain-specific modeling and how to do domain specific modeling with MetaEdit+. To get a rough idea of the workshop check out this presentation. For more than one attendee with a Microsoft background the workshop was a bit of a surprise. The domain specific tools of Microsoft were mentioned and discussed a bit but not more than that. The company of Steven Kelly, called MetaCase, has been doing domain specific modeling for a long time with great success. They have been doing this without any influences from Microsoft and probably in the near future Microsoft will borrow more of their ideas. Stuart Kent was a MetaEdit+ user before moving to Microsoft, and they have thankfully borrowed at least some ideas, e.g. terminology and concepts like Relationship, Role and Object, rather than reinventing the wheel. Steven Kelly wishes they had borrowed more, e.g. a true concept of Graph, n-ary relationships etc. In the past modeling has been used by Case Tools that generated code. These tools were seeking the silver bullet in code generation. These case tools were arguably not very successful. Isn’t domain specific modeling just another case tool ? The big difference is in the domain specific part, each modeling language is only intended for one company and one problem domain. This means its concepts can be at a high level and precise, rather than so low-level, generic or vague that they can be used to describe anything. Similarly the code generator is made by the customer to produce the same kind of code already used by them in their implementations, rather than having a vendor-provided generator with verbose and clunky “one size fits all” code. 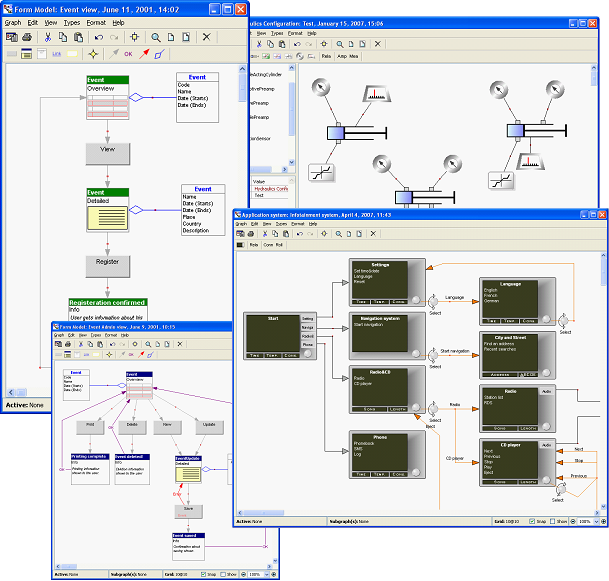 methodology for designing and developing systems, most often IT systems such as computer software. It involves systematic use of a graphical domain-specific language (DSL) to represent the various facets of a system. 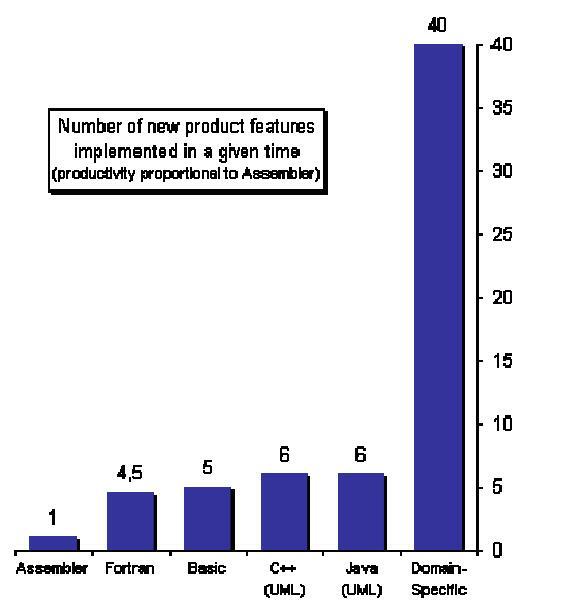 DSM languages tend to support higher-level abstractions than General-purpose modeling languages, so they require less effort and fewer low-level details to specify a given system. Why would you start domain specific modeling ? At the workshop Steven Kelly showed fifteen real life cases that he and his company worked on. And even when you don’t have all the details and because of that would only believe half, the numbers are still impressive. Below is a mix-up of several noticed benefits of those different cases. The general idea of how to build a domain specific modeling language is beyond the scope of this blog post. People who are interested are advised to get the book Domain-Specific Modeling: Enabling Full Code Generation. During the workshop the participants were walked through and participated in creating a domain specific language for making interactive TV applications. This was done with MetaEdit+. MetaEdit+ is a very interesting piece of software. Thinking up the domain experts concepts was the hard part. After that building the language and creating the generator and making a first model was very fast. One of the noticeable abilities was the ability to adjust the representation (while modeling) of parts of the model based on the relative positions of the parts programmatically. Is there a Microsoft product that is able to do this ? A part of the way MetaEdit+ works is by the use of a domain framework. As a starting point, the code generated looks like the code the developers have written by hand so far. If large sections of that code are recognized as repetitive boilerplate, those multiple occurrences will initially be moved to be just one occurrence in the generator. However, if a section is more than a few lines it’s probably easiest to edit it outside the generator, so the IDE can offer syntax highlighting etc., so the repetitive code may well be moved into a separate function in its own file and just a call to that function will be left in the generator. Functions like that are what Steven Kelly calls the “domain framework”: new code components made by refactoring existing code during the process of creating the DSM solution. There’s not often much new code in the domain framework: code that already exists many times in hand-written apps, are taken and refactored so it appears just once. When you want to use MetaEdit+ in an all Microsoft organization you have to keep some things in mind. The user interface is not like most Microsoft products. The generators are written in a language called MERL. Microsoft developers will need some time to get proficient with this language. MetaEdit+ is a separate tool, not an add-in for Visual Studio. 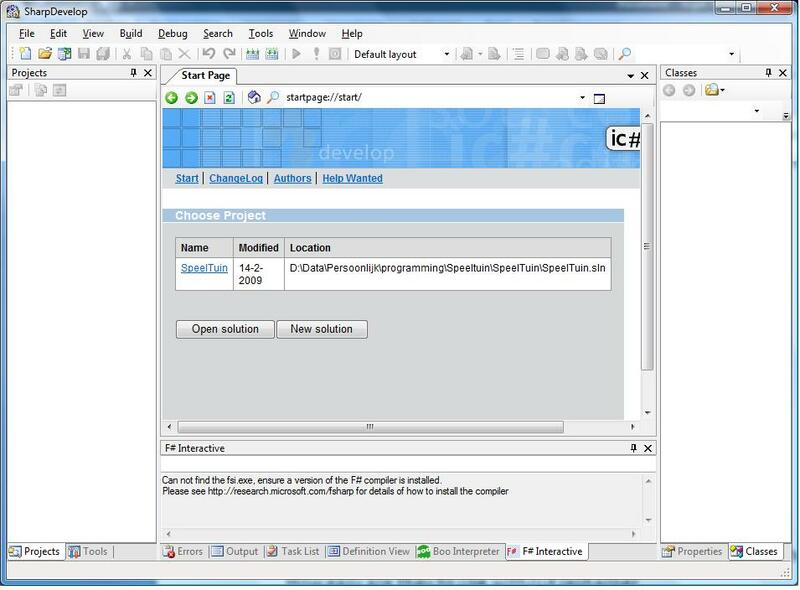 The generator can produce the code files and a new project file, or add them to an existing project. After some positive feedback from “Software Architect 2008” about a VS add-in, an add-in certainly has become a possibility. Great thanks goes out to Steven Kelly for commenting on and adding valuable context to this blog post. Hopefully he will not sue for plagiarism. This is the first in a two part blog-post about the software architecture 2008 conference in London. The conference was great, a wonderful location, fantastic speakers and a very diverse audience. 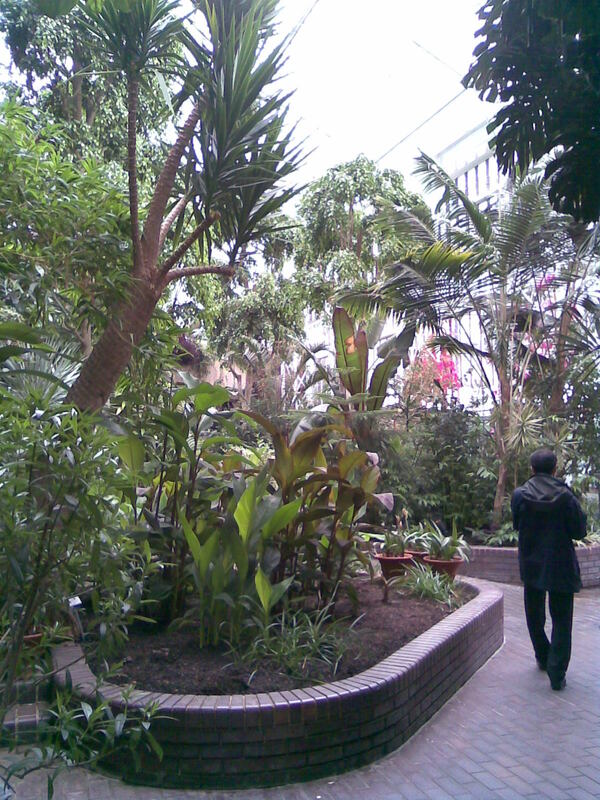 The conference was held at the barbican conference centre. Still there is a need for defining an architect and defining architectures, the key note and some sessions started with definitions. For defining an architecture there are some pretty good definitions that most people can agree upon. But when it comes to defining an architect the definitions are less clear and mostly boil down to a list of synonyms or a list of characteristics, skills or activities of an architect. Most speakers did seem to agree on a certain skill set. On every project ask yourself: how much architecture do I need and how agile can I be to make this project a success ! In the key-note Kevlin Henney mentioned the Dreyfus Model of Skill Acquisition. This model recognizes five stages of skill acquisition. According to Kevlin Henney at the novice level people try to learn the rules, when people start to be competent they start to bend the rules and finally the expert recognizes that the rules depend on the context. That is why when you a ask an expert architect a question, nine out of ten times the answer is “it depends“. And yes, the answer always depends on the context. Kevlin Henney mentions that the emphasis on context is mostly his own (as are his jokes! ), as this comes from patterns, but some of the detail and framing has been inspired and influenced by Andy Hunt and Dave Thomas (the Pragmatic Programmers) and Dan North (better-best-practices). A while ago I purchased the book C# 3.0 In a Nutshell. This post gives my first impression. It is an amazing reference guide with a lot of detail. This picture gives a great overview of what is in the book and where it is. 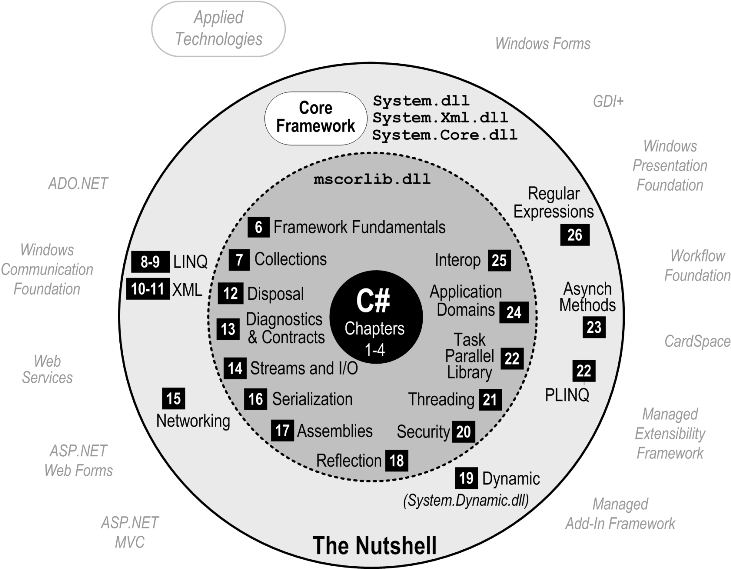 Notice that what is outside of the circle, like ASP.Net, ADO.Net, WCF and WF is not covered by the book. If you see through the advertising this overview gives a pretty good idea about the book. If you are looking for a book to teach you how a computer program is put together this is not the book for you. It describes al the parts pretty well but it doesn’t describe putting them together. You could read the book from cover to cover. This is mainly because a very easy to read writing style and a good build up of level of detail. But the sheer number of facts that follow each other in a very rapid pace doesn’t make it very useful to read it from cover to cover, after a while facts just want stick anymore. I would suggest, skimming through the book behind a computer trying the interesting things you see and experiment with it. After that keep the book on your desk and use at as the great reference guide it is.